Over the years, I have become very selective when it comes to the blogs I follow – especially the blogs curated by fashion bloggers over 40. I deleted many blogs from my reader a while ago. The ones I still follow boast a strong writer's voice and convey a sense of purpose within the blogging world. For example, take the following group of women. They may all be fashion bloggers over 40; but they all write about fashion in a thoughtful manner, while curating excellent content and boasting an impeccable sense of style. 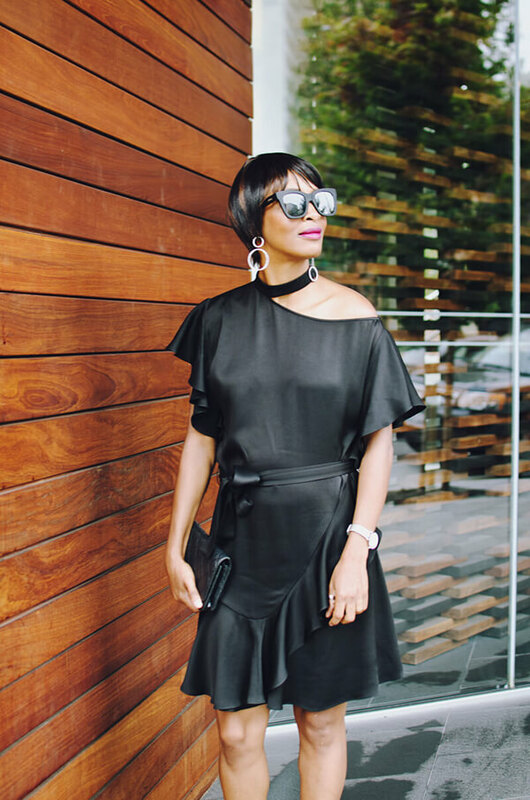 Therefore I present IFB's 2017 top picks, when it comes to our favourite fashion bloggers over 40. Editor's Note: This list is updated on a bi-annual basis. Please feel free to give a shoutout to your favourite fashion bloggers over 40 in the comments below, if you wish them to be considered for this list. Seemingly ageless. Incredibly chic. Ridiculously fit. Diane of Fashion on the 4th Floor is one of my current favorites, when it comes to fashion bloggers over 40. Whether she's sporting denim or a killer, shoulder-bearing cocktail dress her positive energy just jumps off of the page . If you're looking for effortlessly chic, classic style inspiration be sure to check her blog out. If you are petite like Trina, from Petite Style Studio, you will find her blog to be an amazing resource. She's a master when it comes to pairing bright reds and pinks against a muted backdrop. Her blog is worth checking out, regardless of where you fall on the height spectrum. Samantha, a part-time biomedical scientist, shows how it's done when it comes to color on her blog Fake Fabulous. She is especially talent when it comes to styling accessories, like belts and scarves. Be sure to check out this stylish Scot, if you're looking for some Fall/Winter styling inspiration. I was always a fan of Lucky magazine (RIP!) and I loved founding editor Kim France's style. On her blog, Girls of a Certain Age, she posts about shopping in NYC (and shopping in any city, in general), along with writing about her favourite designers and current shopping trends. She does an excellent job of relating to her readers, and engages in a dialogue with her community. She frequently asks her followers questions and is quick to respond to comments. It also doesn't hurt that we share a love of clog shoes! I may not wear color myself, but that doesn't mean I don't appreciate it on others. In fact, I especially appreciate it on Catherine from Not Dressed as Lamb. The outfits she wears would be WAY out of my own comfort zone, but she never fails to look beautiful and confident in everything she puts together. 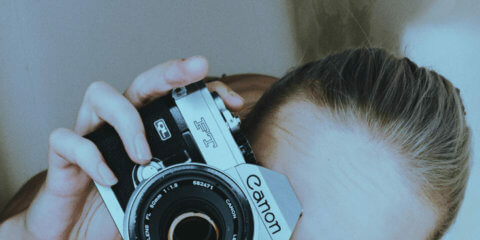 Her photography is also gorgeous, and I find huge inspiration in her work. 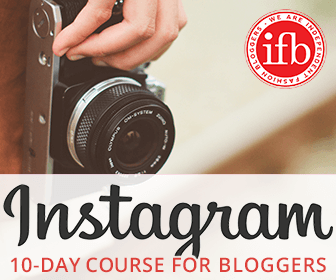 We have featured Lyn from Accidental Icon here on IFB before. When it comes to her killer style and no-nonsense attitude about life, we say never enough. Lyn is a prolific blogger, Yohji Yamamoto lover and social welfare professor at Fordham University, and her popularity skyrocketed five years ago. Half a decade later, Accidental Icon is still going strong and it's easy to see why. I'm not going to lie, I'm mostly jealous of Kim's killer handbag collection. I also appreciate her design aesthetic, shopping posts and designer features on her blog, J'Adore Couture. She's also great at mixing high & low in her outfit posts, making her style more accessible. So if you're a fan of both the department store and fast fashion outlets, be sure to check blog out for some inspiration. One of the best things about Patti's blog, Not Dead Yet Style, is her Monday outfit roundup post. 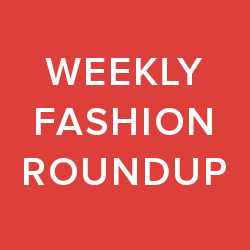 In this weekly feature, she complies a list of various style bloggers and links to their respective sites. It's a perfect post to check out, if you're seeking inspiration or are looking for new blogs to read. And while I love reading about anyone's personal journey, especially as I try to navigate my 40's in style, Patti's thoughts on everything are always fun to read. Not Dead Yet Style is completely relatable any fashion-loving woman, in any age range. I highly recommend you check it out. I love a blog where you can get lost looking through old posts. And Une Femme, by Susan, is exactly that blog! I frequently go back through her travel posts for ideas on how to pack and her outfit posts for her elegant, minimal style. But I also appreciate her musings on “French chic.” As well, don't forget to read through the comments from her readers. They're very engaged and you can get a lot scrolling through the comments section on Une Femme, in addition to browsing through Susan's excellently curated posts. Janise redefines the term “put together” on her blog Mama in Heels. Her beauty, fashion and lifestyle tips truly help me, when it comes to leaving the house looking presentable in the morning. I am not exactly sure how this mother of two balances it all – but she looks fierce while doing it! 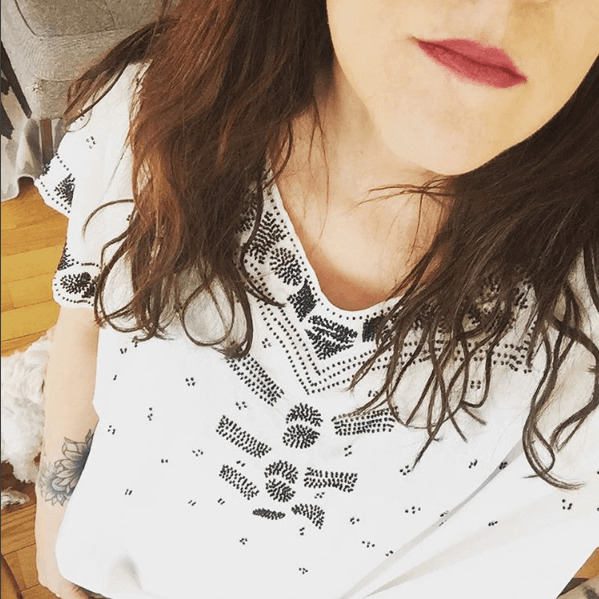 IFB interviewed Sara from Notes From A Stylist last year, and quickly fell in love with her fashion meets lifestyle blog. This English stylist-turned-blogger writes about everything from how to hone your sense of style in your forties and fifties, to sharing recipes and traveling tips with her readers. Practical yet beautifully curated, we highly recommend check out this blog specifically geared to stylish Baby Boomers. We know, we know. You probably don't understand German – that's okay, she writes her posts both in German AND in English. Therefore, there is no reason to stop you from perusing Annette's blog, Lady of Style. 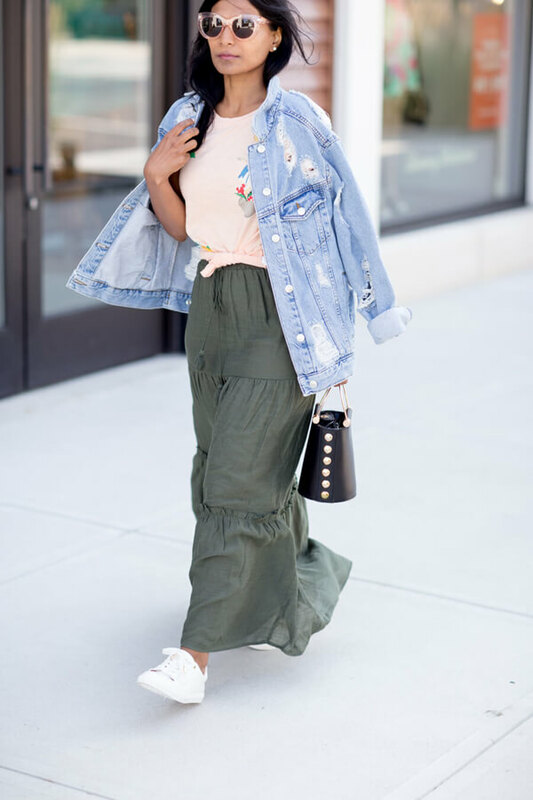 She does an excellent job of putting together everyday chic outfits, and is great style inspiration for anyone looking to incorporate a bit of European-style into their outfits. Who Are Your Favorite Fashion Bloggers Over 40? Editor's Note: This post was originally published on April 5th, 2013 by Gretchen Reiter and has been updated by Laura Kell on August 22nd, 2017. Kristen Philipkoski has also contributed to this list. Grechen that’s so wonderful of you to feature 40+ bloggers – and how flattered am I that you included me (and my picture too – that was a shock in my Bloglovin feed)!!! Hi Grechen, This is a great shout out. i love to see women supporting women. There are a few i haven’t heard of so i shall take a look. I’m 45 a mum and grandma. i have a mag column and blog at imnotoldimretro.com its just for fun as i work full time. i shall get following all the ladies on here. Thanks so much for the mention! I’m extremely flattered to be included among these fabulous blogs. You’ve mentioned some of my favorites, as well as some new blogs to explore. Thanks again! I saw this link on twitter, excited to discover some other 40-something bloggers and imagine how surprised I was to be included on the list! Thanks so much IFB and Grechen…I am so flattered. Vahni and Judy are long favorites of mine, and I can’t wait to check out the others! It is so great to see all these fabulous bloggers. I am 36 years old and to see that there are such a fantastic bloggers my age or older is such an isnspiration. Love your article and you should write more of them on the same topic. These women need to be promoted more in the fashion world. Well Privilege has never felt so good. Gretchen, you are one of my Style Separated At Birth cohort, so I’m truly honored. Amazing, thank you so much for sharing! Great!!! I’m so happy to finally read some blogs written of, let’s say, “over 30”. I’m quite new on IFB but I’ve been really suprised how many teenagers there are! I posted yesterday an article about a forty Fashion blogger like me 🙂 … asking myself if someone could be interested in my blog even I’m not a young girl with a great body and I would like to open soon a hangout on Twitter with this subject. Omg! YES! I am over 40 and wear scrubs all day, so when I need to dress casual or for an event, I’m lost. I don’t want to dress like my 20 year old children, I’d like to look stylish and on a reasonable budget. I love to read other woman’s blogs, ( especially over 40s) such interesting stories. and Fashion news, very inspiring. I have a blog but I just use it to show my Artwork, I am useless at writing, I just cant seem to find the words. Oh, thank you so much for your kind words, Grechen! So flattered to be mentioned! Well, besides myself, because we have to start with self love, darling. I have a host of fabulous fashion savvy friends in the DIY craft world. Mark Montano is a TV host with a background in Fashion design who has written the best selling craft books…ever…lots of great DIY style: http://markmontanoblogs.blogspot.com/. Crafty Chica a.k.a. Kathy Cano Murillo dishes up fab DIY, lots of great blogging and marketing advice with a latina flair: http://thecraftychica.blogspot.com/. Knitty Gritty host Vicki Howell has a fab blog with tons of great crochet and knitting tutorials: http://vickiehowell.blogspot.com/. it is so great to see blogs of WOMEN and not just girls in their 20s. I get very bored with the same old same old postings from everyone but it is blogs like these that bring substance to fashion blogging. I’m only familiar with a few of these women, but I’m excited to check out the sites of others! I’m about to hit 30 myself, and I find a lot of inspiration in seeing the women my age, and older, and how they style themselves. It’s refreshing to see women who don’t sacrifice style as they age; if anything, they seem to have a better, stronger sense of style! Thank you for sharing these, Grechen! I keep track of a number of these bloggers and admire them greatly. I fit the over forty demographic and write a blog with my adult daughter about style, age and playing dress-up. Grechen, Thank you for sharing and introducing bloggers over 40. A huge yay for Catherine whom I’ve personally met and have just featured on my blog yesterday. I’m also finding it harder and harder to relate to most really young bloggers only because our lifestyle is so different. Yaaay! I actually find that there is more variety in and about the over 40’s blogs; the style runs the gamut from conservative to kooky, and My eyes have been opened to a lot of designers who I would have never come across had I not linked-up. I also think that, even though he may not be over 40, we have to give Ari Seth Cohen his due for featuring older women (and men) on his blog, advanced style. It makes one realize that there is a whole world of blogging out there beyond the giveaways and the gifted brand-name togs. Thanks so much for the mention! and for introducing some fabulous over-40’s I hadn’t met before. I already adore Catherine and Une Femme, and Lisa and of course the wonderful Bella. They are all such beautiful ladies, and the content of their blogs is so much meatier than a lot of the fashion blogs out there at the moment. I love reading blogs rather than just looking at the pictures, so it really is a breath of fresh air. Catherine from Not Dressed As Lamb definitely has caught my eye as one to return too. Her style is so well suited to herself, and her eyebrows really are fantastic! Grechen, other than the obvious omission of Grechen’s Closet, you’ve hit on all of my favorites and gave me a few new ones to follow! (Ok, so you’re not really OVER 40…;-) Great post! I’m an inch to it and love to know more bloggers who’s in their 40’s. Would love to dig some aside from Atlantis Home. Thanks for this post. In the process of checking these out, I really appreciate the view of the older woman. I’m glad to see some of us “older” bloggers getting recognized. I don’t often advertise my age. This is because I don’t wish to get pigeon-holed as simply a 40+ blogger, as I’ve seen happen many times. Also my readers are all over the map, age-wise, which I think is wonderful. I see some great blogs featured here that I enjoy, plus a few I’ll have to visit. Thank you for doing this post! I am doing a sketch series this month featuring the +40 bloggers. Definitely check out Citizen Rosebud’s Blog Roll. She has OVER 400 +40 bloggers listed. Easy to get yourself added, if you’re one too. Thank you Gretchen for posting this! I am not surprised that there are so many talented over 40 bloggers out there, me being one of them, but I always feel this looming stress that I have to be in my 20’s to continue thriving in this community. I am going to include these links in my blogroll going forward, and hopefully mine will get some Blog lovin’ as well! What a great list…some of my favorites are here as well as some new ones. Of course, I want you to know that you are always welcome to stop by my blog…we have a great community of over 50 ladies who are joining us!! Amen sister! Good to know I’m not the only out here! Thanks for the inspiration – these are all great. You could also check out some great UK blogs run by us over 40’s such as Does my bum look 40 in this, Schoolgate style, The Flaky Fashionista, Style at Every Age, the Online Stylist and if I am allowed to include myself, Style Guile. I think that we all have a slightly different approach and lots to offer (still)! Great list – i’ve discovered new blogs worth a follow! All of these blogs are amazing, and thank you so much for sharing them. I must say that my favorite one was Not dressed as lamb, and I can’t wait to learn more about her and her style. 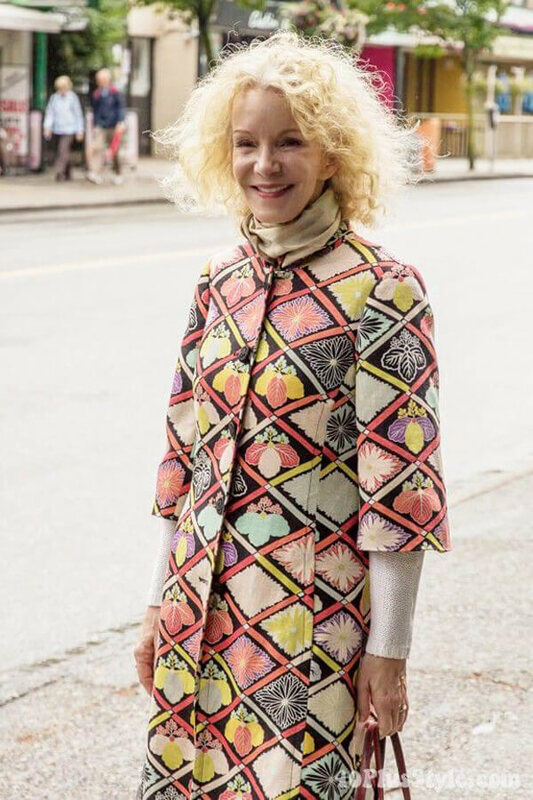 I was so very happy to see this post, and at the same time a little frustrated that there isn’t more recognition of women over 40 (or even 50 in my case) who are active in the fashion blogosphere. As some of the commenters have noted, there is a sense out there that fashion blogging is for 20-somethings. Meanwhile, there are LOTS of women in their 40s and 50s who actually buy and wear clothes (gasp! ), have great style and things to say about it (among other topics)! Please, let’s see more! I’ll show you mine… http://www.stylecue.com. Not familiar with any of these blogs, off to check them out! Thanks for letting us know these lovely ladies. Except the ”Not dressed as a lamb” I didn’t know the others…. I am 41 myself and a blogger over the last 2 years! It is good to see that in a world were you are old at 30, some women give their best and are just beautiful!!! Well done, have a look at my blog, if you have time! Love to see the over forty bloggers as I am one myself. I am looking to rename my blog. I loved the names of these blogs. I would welcome suggestions. After all, us women over forty know how to dress and need to attract those 20 somethings to our blogs with great names. Great list. I’ll check them out. thanks so much for creating this list – what a wonderful, very inspirational group! What a great feature! Very inspiring. Great list and thanks for featuring the 40+ community! For anyone that is interested, I have a list of 200+ more fashion and lifestyle bloggers over 40. You can find it at: http://40plusstyle.com/women-over-40-blogger-community/ Feel free to add yours. Fabulous meeting my fellow bloggers here and indeed we have a great community which is one of the highlights compared to the teenage to 20+ bloggers. I turned 50 recently and only started my blog “Lady of Style” four months ago. Now heading off to check out the new blogs. Thank you so much for this great post, Grechen! It’s fantastic to see so many women over 40 embracing fashion and their individual personal style. 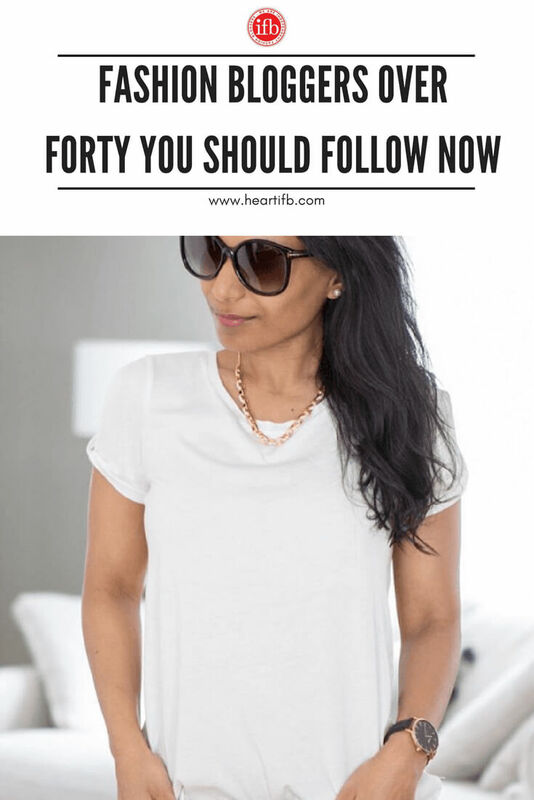 My favorite over 40 fashion blogger is FabulousAfter40.com. Deborah show us ladies how to be on-trend and age-appropriate. I am not afraid to wear the latest styles for fear of looking as if I am trying to be 20 years younger. Some of my favourite bloggers here – I also like reading Tish Jett’s A Femme d’un Certain blog which is beautifully written too. 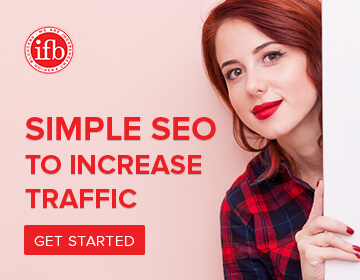 I found your post very inspiration and informative, and all of these fashion blogs list is very useful for me.thanks for sharing your article. Nice to see a mature woman’s blog for a change. Love fashion and makeup blogs…but hey I’m not 20…by a long shot!. Thanks for thinking about us! Oh, this is something I have been searching for! Thank you so much for posting this and your post motivates me to continue doing this kind of blog. Great list and thank you for sharing this list. I love reading blogs knowing that there are over 40 bloggers out there. The world of bloggers are growing and growing as years gone by. Great job! Take a look at http://www.thisisyourbestyear.com A blog for and about women of a certain age. Enjoy! Great topic to host bloggers over 40 , they seem to be in the minority although most contain very inspirational content and promotes a level of confidence only associated with women of a certain age. I ‘m 40+ and do not propose retiring from life merely because my knees are sagging, style has no age limit! My vote goes for Lady of style and Unne Femme, both packing a very stylish punch! I look forward to sharing some styling cessions with some of my 40+ friends! I am JUST starting a blog for women approaching or having moved into their freedom decade. It is a demographic with more discretionary income and a segment of the population that still wants to look good yet has been largely overlooked by the fashion industry. I was wondering if their is a network of fashion blogs that I should be linking up to for more visibility? I am eager to dig into some of these blogs that you have listed. I know I will gather some inspiration and resources. Thanks for sharing. Topics shared are marvelous. Amazing site content we believe it happening with the great sense of understanding. Now it helps us for making best to a trend setter. Your post very inspiration and informative, and all of these fashion blogs list is very useful. I am over forty, have been in the fashion business over 30 years, and finally feel confident with myself so this is the perfect time in life to embrace all things fashion, beauty, ect_ age appropriate needs to be stressed but so many old fashioned Rules don’t apply today! Great News! I started a blog because I felt the need to share my experiences in hopes of helping other women in some small way. They are all lovely and stylish indeed! I too am a 40+ fashion and beauty blogger and am extending an invitation to all others who also are. 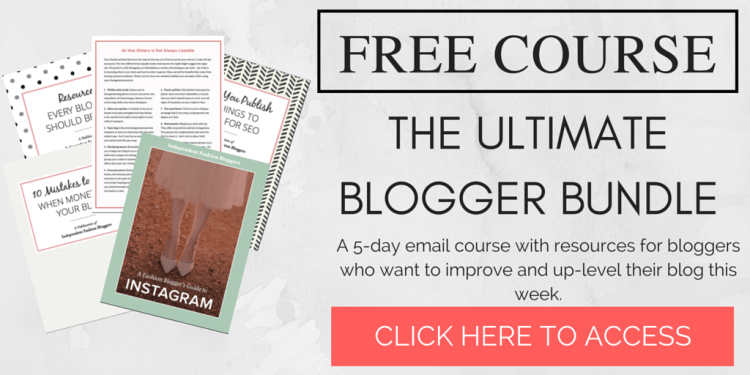 I would like to have a blogroll on my blog featuring all of your blogs! Please respond to clothesbutnotquite at yahoo dot com with your blog website address or better yet, the link to your blog’s button and I will feature your blog on my blog if you will do the same. Excellent list .. I know mostly everyone .. but a few I do have to check out. I think you ladies might like my jewelry designs. I handcraft each piece with love. Wonderful blog found online. Continue like this online. yes, Its true. Fashion bloggers over 40 should fabulously likes this post. Love this post. We have amazing fashions for the 40+ at Katie Kerr clothing. 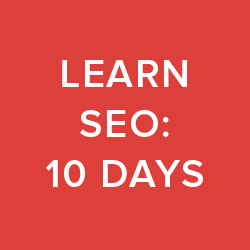 All of these blogs have great tips, images and are very useful. Thanks! This is a great list! I finally shifted my blog focus to mature women. It’s gear to know there are more resources out there. thanks for sharing such a nice blog. I am a haute couture bijouterie designer. I create different kinds of fashion bijoux and accessories with quality materials to great prices. My things are perfect for women +35 years. Looking forward hearing from you all! Hello again, please check out my new necklace 🙂 The new collection is coming soon!! Here a Ruby Blue Gem-Stone necklace. Hand made and unique fashion accessorie. Hope you enjoy!! Celebrating ageless beauty is our pride! Very inspiring post. I love my age… but came across this post as I was wondering will I have to start blogging about meatloaf and dental implant technology as I get older to garner my age appropriate demographic ! It’s nice to know there are others just publishing what they love. As someone hitting forty in a year and a half, refreshing to find this list. Thank you! Thanks for this post. I am creating a blog about women over 40 and found this in my research. Great content. This is such a great post. You forgot someone! Heehe. Me!! I post with two of these fabulous bloggers each month: The Fab 40s. Diane and Samantha join me and five other in highlighting a style. It’s quite fun, and I adore both of these ladies. So proud of them for making your list IFB. Will you run it again? Maybe quarterly? There are so many of us out there. Again, great post. Carmen is one of my faves too. Just bought the shift in this post actually–because of her!! These women are proof that style has no age! I’m hoping in a few years to be on a list among these amazing ladies!! Thank you so much Grechen for including me in this group of wonderfully stylish women. I am honoured and delighted! 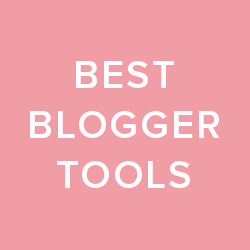 Some of these bloggers I know (and love) the others I am keen to check out ASAP! Posts like this one are so helpful. There are so many blogs out there, and it is very difficult to find what I am looking for. Luckily, you have come along with a big magnet and saved me a lot of time! Gretchen, Great list. I can’t wait to discover more over 40 and over 50 blogger like myself. There is definitely a desire for woman to share their styles at this fabulous age they call 50. I would love to be on your list sometime. Nice list – good to see some familiar faces and some new. As an over 40s blogger myself I think these blogs are way more interesting than most of the younger fashion blogs. 40 plus women are way more settled in who they are, it’s not about fashion for fashion’s sake but style for what it expresses about who you are as a person. Always great to see other 40+ bloggers! Let me leave you my site too, for future reference! As a 40+ Fashion Blogger, I’m always looking for new blogs to add to Feedly. Thanks for introducing me to these new fabulous ladies! Erica Bunker – DIY Style! These are all wonderful, stylish women showing the way for us over 40 women. I happen to have an apple-shape and big bust so it’s even harder finding blogs for what works for me….so I started my own! Pop over to http://www.whenthegirlsrule.com if you’re one of the many who have gained that dreaded midlife middle but still want to look stylish! So glad to see this. Grown women dress too! Garance Dore is 41 and her blog and book are such a great success. I do not think blog has anything to do with age anymore it is the way we communicate, live, have fun and exchange ideas and find our own audience. Super List! I love the updates; you’ve included my some new and old favourites on there! Gretchen, thank you so very much for the mention! I’m honored to be included among these very stylish women. A few of my favs and a few new ones for me to check out! Thanks for the list! I am also an over 40s blogger, having taken a leap from teaching to blogging six months ago. I am passionate about fashion, beauty and travel and it’s great to discover so many other midlife bloggers, some of which I know already. I have left my site too for future reference, and I am just about to add a personal styling service to my blog so would appreciate any advice from fellow bloggers who have already done this! they are so inspiring and have a great style! thank you for sharing! who says that your (fashion) must end with 40? these women prove better! One of my favorites is 50chic.com. She embraces her age and always seems to add a bit of fun to what she does. 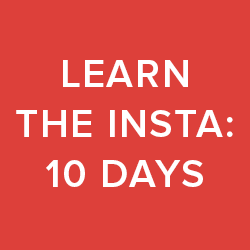 Her Instagram account rocks @50chic50. I know I commented first time around Grechen but I have to come back to say thank you for updating the list and adding two of my fave newer blogging friends – Samantha and Diane – they are both amazing!! It looks great with photos too… Always helps to get more of an idea of everyone’s style of course! I still get a lot of traffic from this post three years on, thank you for the boost!! Susan at Fifty Not Frumpy is one of my favorite over 50 bloggers! Being a 40+ fashion blogger of myself, I know a few of the fabulous ladies that listed here. They are great! 🙂 Thank you so much for sharing this! The last blog’s link (Mama in Heels) goes to CocoLoft’s blog. Otherwise, nice post, I had only two of these blogs on my feedly. Thanks. Thanks for watching our back! We really appreciate it. The link is now correct. I am already following Petit Style Studio and am really happy with her tips. Indeed I am recommending to others to follow them too. I am a blogger, or, at least, I am trying to be. With 3 women friends of mine we are the 40nagers blog. Ahhh…Thank you so much for the feature. It is this community that inspires me to do what I love. Thank you so much for your support. Good to find there are some of our elder there in fashion blogging who keep motivating and guiding us. In recent years the number of amazing older women starting fashion and style blogs has simply exploded. And yet I still hear women of my age (41) and older saying they’d love to start a blog but it really isn’t the sort of thing to do at their age (whether they’re also thinking I shouldn’t really be doing it I don’t know – or care). What they’re not realising is that there are so many advantages to blogging in your maturer years over doing it in your teens or twenties – and this makes us unique amongst the huge numbers of 20-somethings. I’ve been blogging for two and a half years now, and have been lucky enough to work towards, and achieve, my goal of becoming a full-time blogger. So after writing 549 posts – this is the 550th – I’ve realised I’m glad I’m blogging in my forties and not at a younger age. Lovely post. I am also an over 40 Fashion Blogger but really enjoy reading other blogs by women over 40. Wow! It’s so heartening to see beautiful and confident 40+ women, also refusing to succumb to styling obscurity. Styling is a powerful way to express our personalities, and our personalities become richer with age don’t you think? After nearly falling into the invisibility trap, I’ve bounced back fighting; for more media recognition, for inspiring other women to wear what the hell they like, regardless of age or body type. Would love for others to support my cause so our voices can be louder ? I’m in the process of building a blog website however for now you can find me on Insta @frockageing ? My aunt wants to have great fashion style when she starts her new job in a magazine. It’s advised here to for women over 40, they should have timeless style. Moreover, it’s best to read fashion and lifestyle magazine. In your comment about “Notes from a Stylist” you advise that the blog is geared toward “baby boomers” in their 40’s and 50’s. I’d like to point out those of us in that age group are not baby boomers, lol! Our parents are!